I'm still at the beginning, but I already do excellent failures. Hard to tell like that. 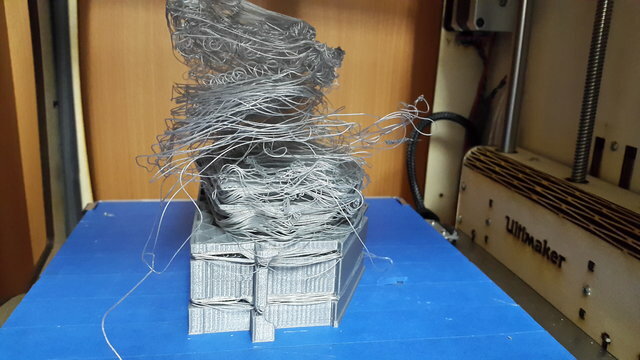 What happenned at on moment is that the printer printed in the air instead of the previous layer. The reason why it did that is hard to tell without more information. 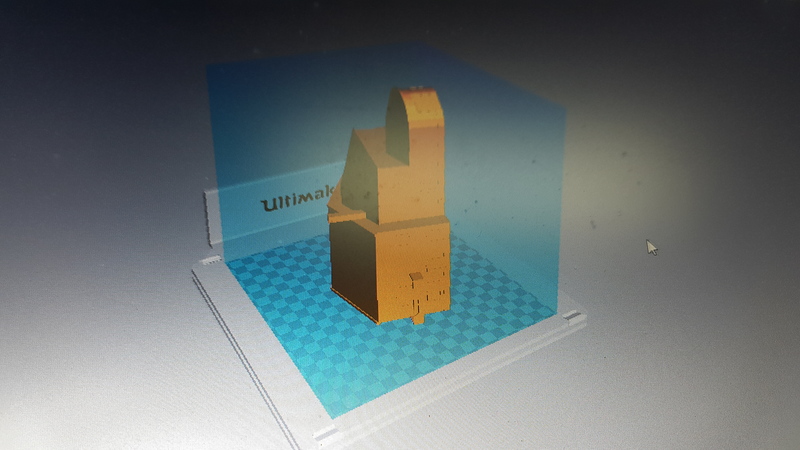 At first sight it coul be related to your model (have you checked the layer view or x-ray view in Cura?à There are two clear lines where it went wrong at the bottom. Does this occur with other models or does this only occur with that particular model? Hello DidierKlein, thanks for your replay. This was my first model and is made by myself . I will download a 3D model and print to see if it runs well. 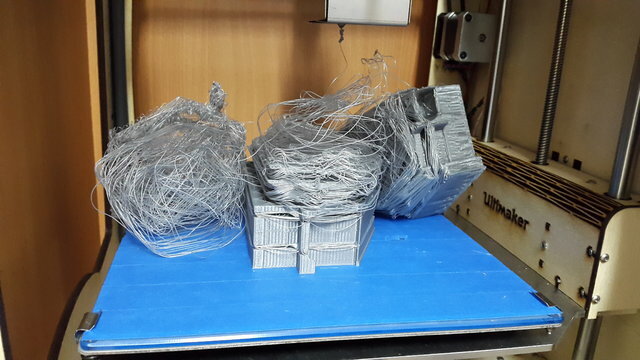 May you suggest a model to test the printer? Hello Ajmonkey, thanks for your replay. Vaz - before printing anything - always look at your model in layer view. I'm 90% sure it is skipping over several layers. Even though they look more or less solid in normal view - (I see some holes in there) I think they are consedered empty/open when slicing. Like didier says, look at it in xray view also and all red spots are a problem. You might be able to fix it simply by checking the "A" box in "fix horrible" settings. Are you using sketchup by any chance? sketchup tends to make non-solid objects (infinitely thin walls) which are not printable. There are sketchup plugins to test your model for solidness or you can run it through the free web netfabb thingy that may fix your model. Hello gr5, yes this is a sketchup model. I will follow your advice and enable the option (A). In relation to "free web netfabb" you're saying "netfabb Basic"? This program allows to import, correct and export STL files? I've never used the netfabb thing on the web - but it's a free service where you upload your model to netfabb - it fixes it - and sends it back to you. You might not like the fix (it might remove most of your model). Play with all the fix horrible settings and look at the results in slice view. To save time set your layer height temporarily to .5mm or 1mm - just so you can quickly try all 11 combinations of fix horrible (clicking A and B both is redundant so don't do that).